February was surely an eventful month thanks to 2018 Pyeongchang Winter Olympics! Although the Olympics may be over, there are still a plenty of things to look forward to this March! Some of the most amazing Kpop artists are coming back~ Take a look at some of the hottest March comebacks! 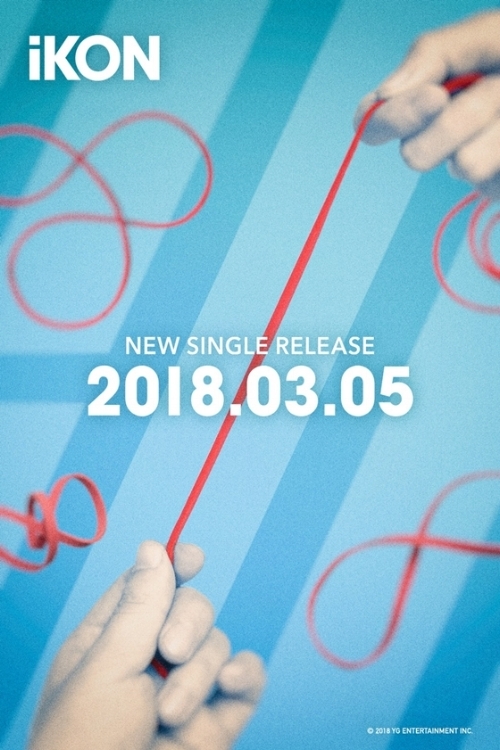 Behold, iKONICs - iKON is coming back with a single on the 5th! :D Check out the teaser image below! They released a single ‘Love Scenario’ was released about a month ago, and it has been topping every major Kpop charts at the moment. So we can’t wait to see what iKON has in store for their fans this time! iKONICs around the world - show your iKONIC love! MAKE iKON come to your city today! Check out this awesome teaser video! If you want to meet MAMAMOO in your city, MAKE them today! Bring them where you are! Our cuties are finally coming back this March with their second mini-album, ‘0+1=1(I PROMISE YOU)'! As the title suggests, this album is WANNA ONE’s promise to make 2018 the ‘Golden Age’ and give back love to their fans, Wannables! Check out the teaser video for '0+1=1' that WANNA ONE brought to us just a few days ago… Doesn't it look amazing? Want to meet WANNA ONE in your city? MAKE them in YOUR city today! Hoya is coming back as a solo artist~ After leaving INFINITE in August 2017, Hoya has been busy making his musical debut and acting! Now he is releasing his very first solo album. Check out the album teaser image below! Bring Hoya to your city! MAKE Hoya today on MyMusicTaste! Watch out, world! GOT7 got a comeback to make on March 12~ This upcoming album is especially more exciting because the boys collaborated with Hyorin on one of the songs! The song is called ‘One And Only You’, and the special video for this song is already released for their highly anticipated fans~ Check out the video right now! One more thing - did you know that GOT7 is going on their world tour this May, and MyMusicTaste is part of the European leg of 2018 GOT7 WORLD TOUR?!?! It gets even better - SubKulture Entertaiment and MyMusicTaste will also be bringing GOT7 to North America! If you want to MAKE the next GOT7 tour happen in YOUR city, MAKE GOT7 on MyMusicTatse today! Last but definitely not least, BTS J-Hope will rock the world once again this March! J-Hope will be releasing his first mixtape this March, making him the third member of BTS to release a mixtape~ His talent in music production has already been demonstrated through working on various songs, including 'I NEED U', 'MAMA', 'MIC Drop', so we guarantee that this mixtape will be another masterpiece!